I’m excited to invite you to join me for a free class on Thursday all about How to Teach Your Kids Great Money Skills. You don’t want to miss this! 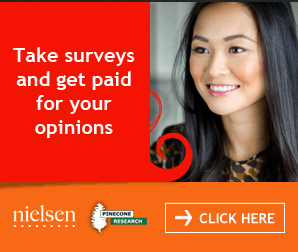 Do you want to raise financially responsible kids? Do you wish you could have some advice and step-by-step help to teach your kids great money skills? If so, you’re not alone! I hear from so many parents who feel like they want to set great examples for their kids when it comes to money but they just don’t even know how to do that since they never had good money role models. Matt Matheson is a dad of two kids who has spent 15 years as a teacher. His heart is to help equip the next generation to win with money. It started in his home with teaching his daughter and son the basics about money, but quickly expanded to include teaching a personal finance class to 5th and 6th graders in his school. As a nationally published personal finance writer with articles and insights appearing in places like the Huffington Post, Matt was able to combine his financial knowledge, educational expertise, classroom experience, and parenting insights to build a series of highly engaging lessons designed to bring the joy back to parents struggling to raise money rockstars. Sign Up for the Free Class! 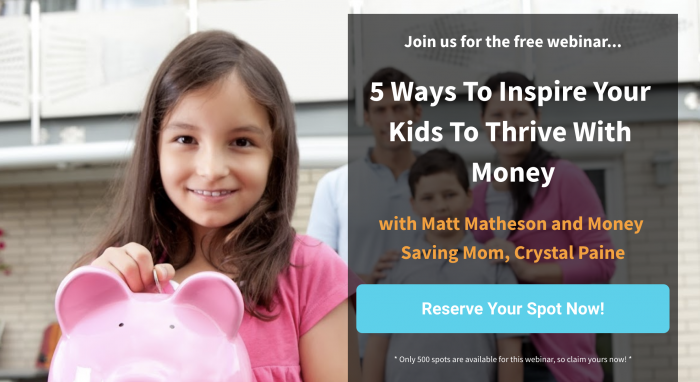 Matt and I are teaming up on April 11, 2019 to offer you a free live class designed to help you raise your own financially-savvy kids. It’s called 5 Ways To Inspire Your Kids To Thrive With Money. How to know WHEN you should start teaching your kids about money. In the class, Matt will show you why it’s too late if you wait until they start learning about money in school. The #1 trick for HOW to teach these concepts. Many parents go about teaching their children about money all wrong. Matt will show you a few simple teaching tips and tricks to have your kids soaking up money knowledge like a sponge. Click here to sign up and reserve your spot for Thursday, April 11th, at 8:00 pm EST! Our hope is that each parent who attends will leave inspired with steps and advice to build a strong financial foundation for their kids. I hope to see you there! P.S. Can’t make the live webinar? Be sure to register anyway to watch the replay! 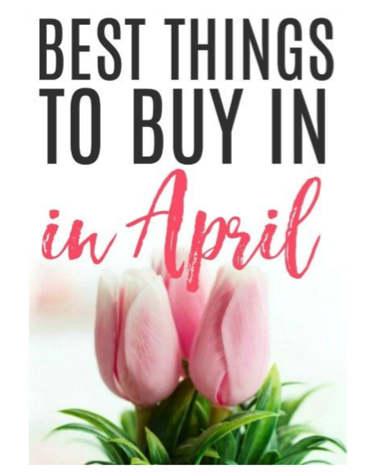 Maximize your savings this month with this list of items that are best to buy during the month of April! Did you know you can save quite a bit of money if you wait to buy certain items during certain months throughout the year? 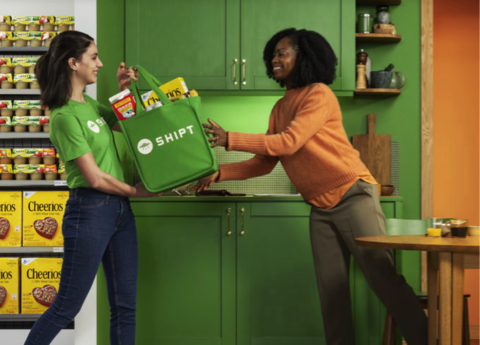 Check out this list of the Best Things to Buy in April! Are you trying to be more intentional with your money and hit some financial goals? If so, you’ll definitely want to check out this Master Your Money bundle that’s on sale right now! 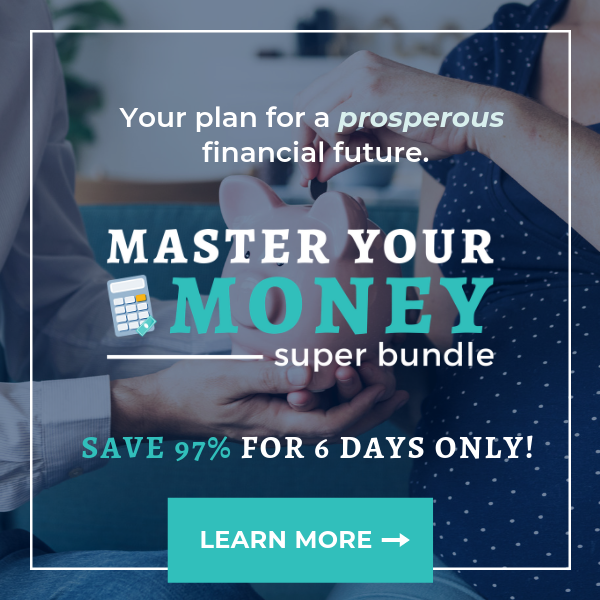 This Master Your Money Bundle has everything you need to help you stick to a budget, pay down debt, save more money, and hit your financial goals — and you can get it for just $37 through next Monday, April 1st. 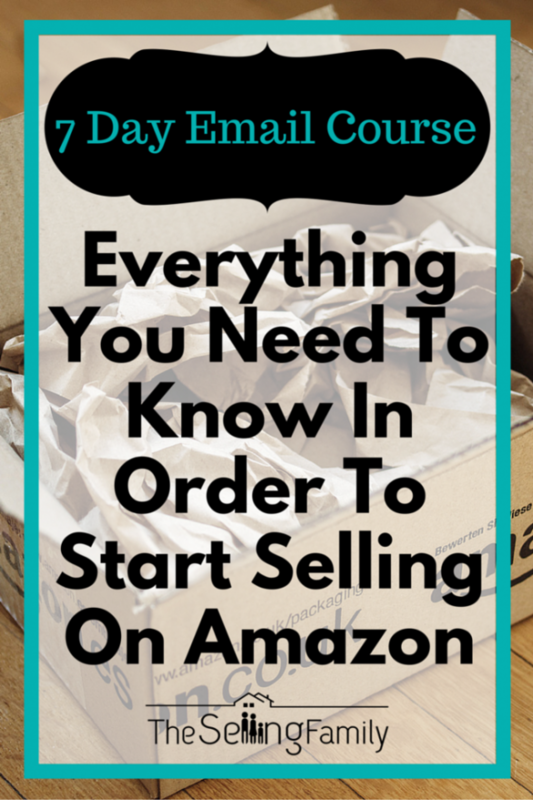 It contains $1206.41 worth of eBooks, printables, eCourses, and videos…and all you pay is $37 for all 45 resources! Set up an easy budgeting system you can actually stick with. 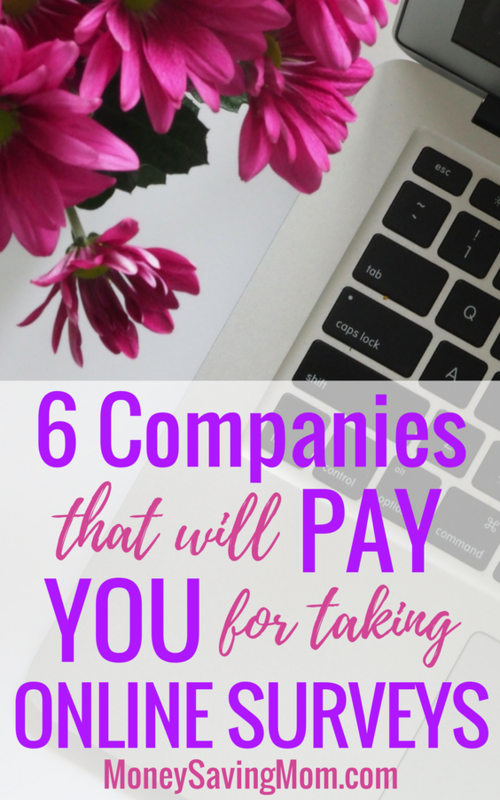 Learn proven ways to save money no matter your income. Take control of debt without feeling overwhelmed. Find smart ways to grow your family’s income. Create a clear plan for achieving your financial goals. 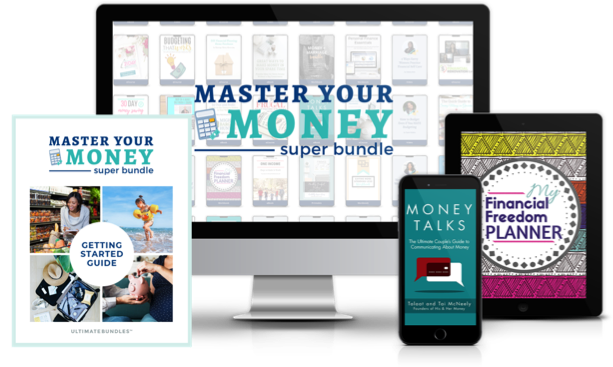 If you feel overwhelmed or stuck when it comes to your finances, this Master Your Money Bundle will help give you the practical tools and tips you need to take that first step in the right direction! Bonus: If you order by the end of tomorrow, March 28th, you’ll get the Cheat Sheets for FREE as an Early Bird Bonus. 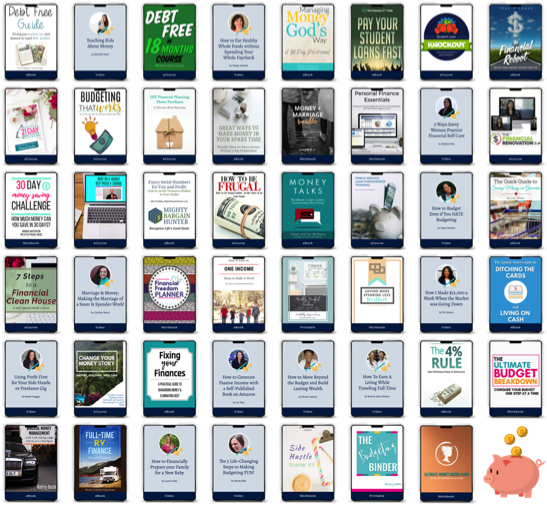 The cheat sheets help you get started right away if you feel like you don’t want to wait until you have time to read eBooks, watch videos, or take eCourses. And since SO many of you loved the honest review I did of the productivity bundle last month, I plan to do another honest review with my favorite resources in the next couple of days! So stay tuned for that! But if you’re ready to buy before hearing my honest review, just click the link below! Go here to grab the Master Your Money Bundle for just $37.